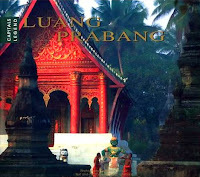 Laoconnection.com: Luangprabang - Most Favored City? 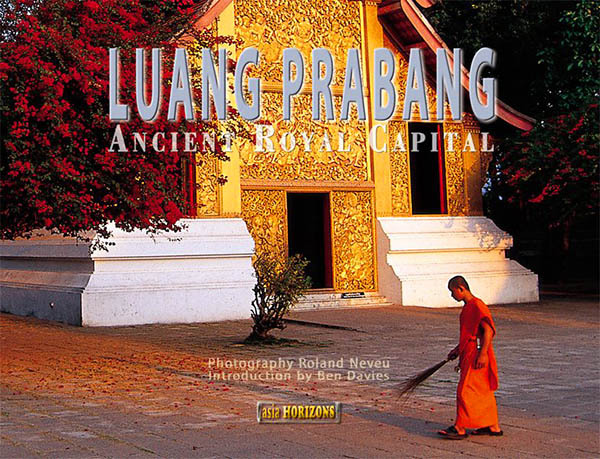 There's seems to be a regular flow of books dedicated to the city of Luangprabang, Laos' old former royal capital (which I'll call "LP" for short), that are often released once every few years. By my calculation, I'm predicting another book on LP this year or may be next year. It would seem a lot of people have really taken to the old romanticism of the town. Understandably so, with its history, quaintness, art, architecture, friendly people, good food, small town feel, and not to mention its recognition as a UNESCO World Heritage Site, and so fourth. 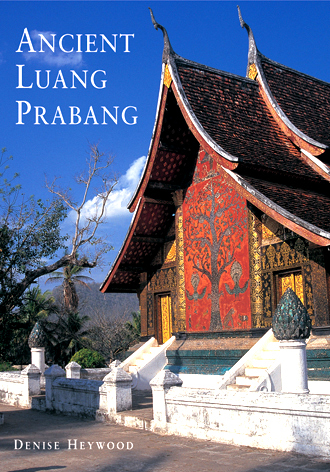 With all the books written on LP, you'd think perhaps it is Laos' most favored city or at the very least, the most photographed. Here's our compilation list of books published on this city. 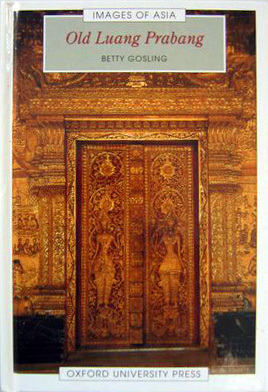 However please note that it doesn't include the many travel magazine articles that have covered LP or the many Lao art related books that profile a lot of the temples and artwork from there, nor books written in non-English languages. - approx. 256p, a sort of photographic essay of Lao Buddhist life in Luangprabang. - approx. 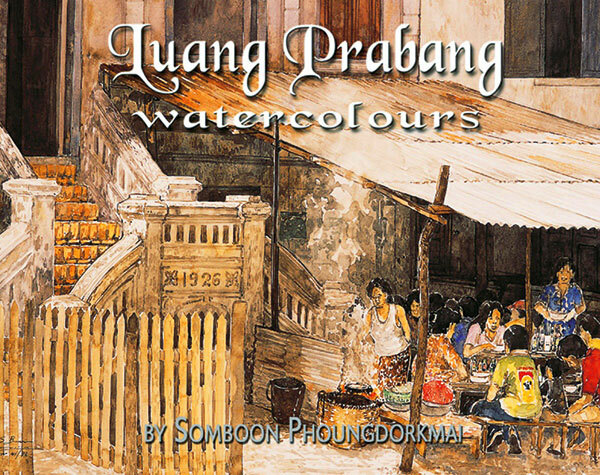 120p, simply gorgeous water color paints and drawings by Thai artist, Ms. Somboon. 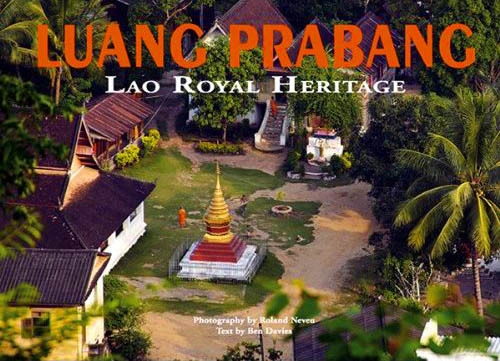 The publication was done to recognize Lao-Thai relations and was funded in part by Thai Airways. - approx. 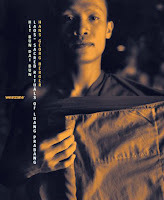 220p, tons of info and pictures, not only does it cover the usual temples and palace museum, it also discusses secular and colonial architecture and points of interest. 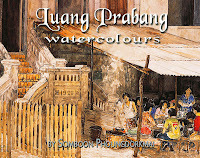 Click the link on the title to read our review of that book.